- be cool, calm and understanding - serving not only as a wife but also as a friend and adviser when the need arises. -love: A deep and abiding love is the most emotional and spontaneous expression of desire and self-fulfillment a husband expects of his wife. It is indeed the basis of an intimate life-long mutual relationship and the means of bringing into the world children whom they will love and cherish as long as they live. Here love is not limited to mere attachment (prema), but it is an all pervading quality of wishing for the genuine well-being of her husband. - sweetness in everything: Besides expressing her endearing and tender feelings, the wife should also possess a charming disposition, be always cheerful, pleasant and comely. 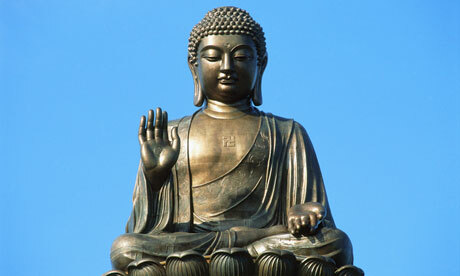 The Buddha, in reply to a householder as to how a husband should minister to his wife, declared that the husband should always honor and respect his wife, by being faithful to her, by giving her the requisite authority to manage domestic affairs and by giving her befitting ornaments. This advice, given over twenty five centuries ago, still stand good till today. 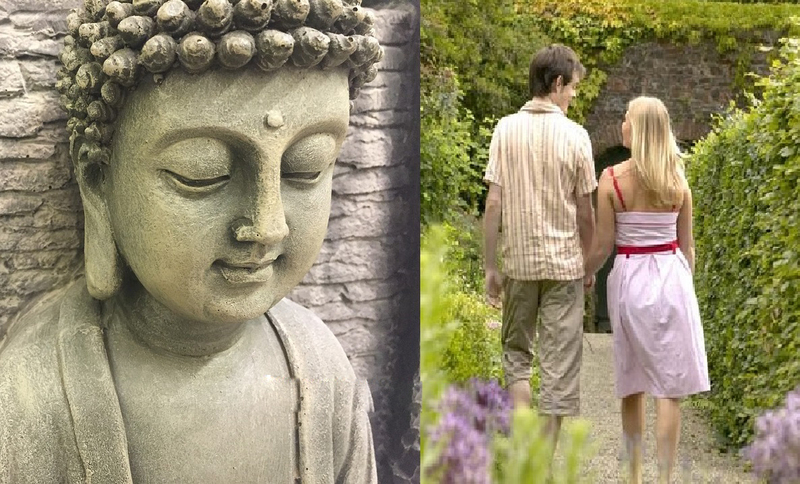 Over the centuries, male dominated societies have perpetuated the myth that men are superior to women but the Buddha made a remarkable change and uplifted the status of woman by a simple suggestion that a husband should honor and respect his wife. Such a remark may be common today, but when we consider it was made 2500 years ago, it is no less than revolutionary! A husband should be faithful to his wife which means that a husband should fulfill and maintain his marital obligations to his wife, thus sustaining the confidence in the marital relationship in every sense of the word. The husband being the bread-winner, has to invariably be away from home, hence he should entrust the domestic or household duties to the wife who should be considered as the custodian and manager of their property and as the home economic-administrator. The provision of befitting ornaments to the wife should be symbolic of the husband's love, care and appreciation showered on her. This symbolic practice has been carried out from time immemorial in Buddhist communities. Unfortunately today it is in danger of dying out because of the adverse influence of the modern way of life. - security: The principal objective a wife seeks in her marriage is security to be provided by her husband. - loyalty: As an understanding husband, he should give his undivided loyalty to his wife and stand by her, through thick and thin, under any adverse situation confronting the family. -moral support: As a responsible husband, he should be able to stand steadfastly by his wife's side to the very end, in the face of any untoward eventuality confronting her and lend her moral support and much - needed courage to overcome such a situation. The husband is the acknowledged head of the family, unless he is incapacitated from performing his duties as such. Both in common law and under modern legislation, the husband is legally bound to support his wife and family, notwithstanding the fact that the wife has her own property or income or is capable of earning her own support. Even today where many wives work, the nurturing of a family should be a shared experience. Husbands have no reason to shirk household duties, to help the wife and train the children, especially when there are no servants to do such work. Apart from these emotional and sensual aspects, the couple will have to take care of day-to-day living conditions, family budget and social obligations. Thus, mutual consulations between the husband and wife on all family problems would help to create an atmosphere of trust and understanding in resolving whatever issues that may arise.